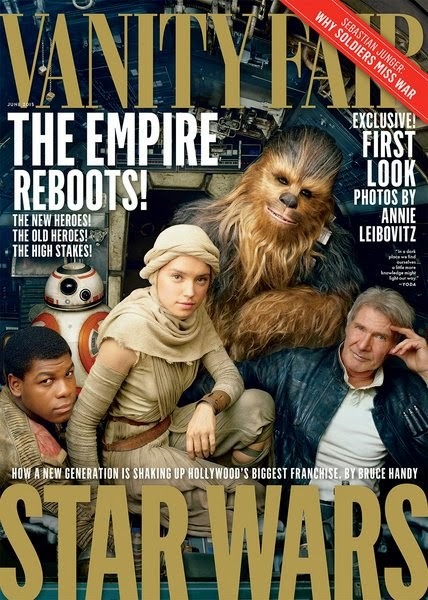 The new issue of Vanity Fair features some familiar faces and new ones on their latest cover. Those include Han Solo and Chewbacca and two newcomers from the upcoming Star Wars: The Force Awakens. This issue hits stands this week and exclusive photos from Vanity Fair should be available soon for all to see.